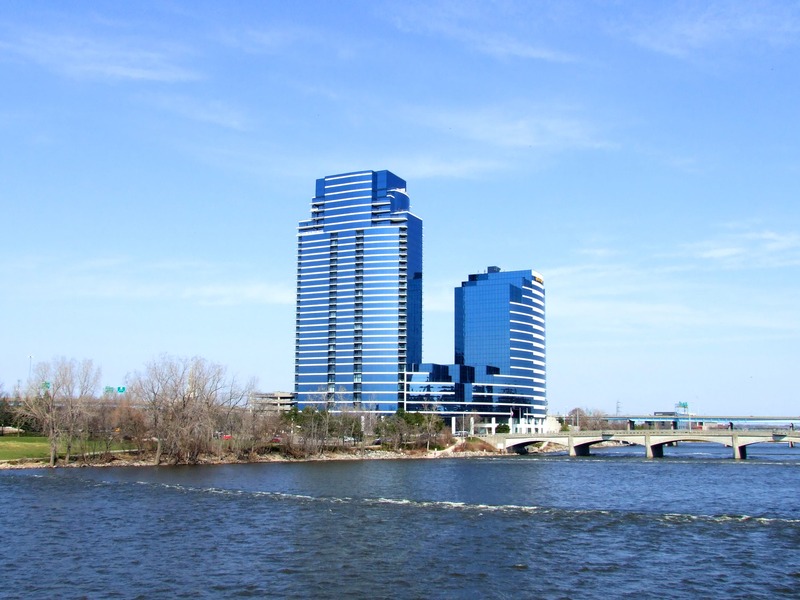 River House at Bridgewater Place is a staple of the Grand Rapids, Michigan skyline. 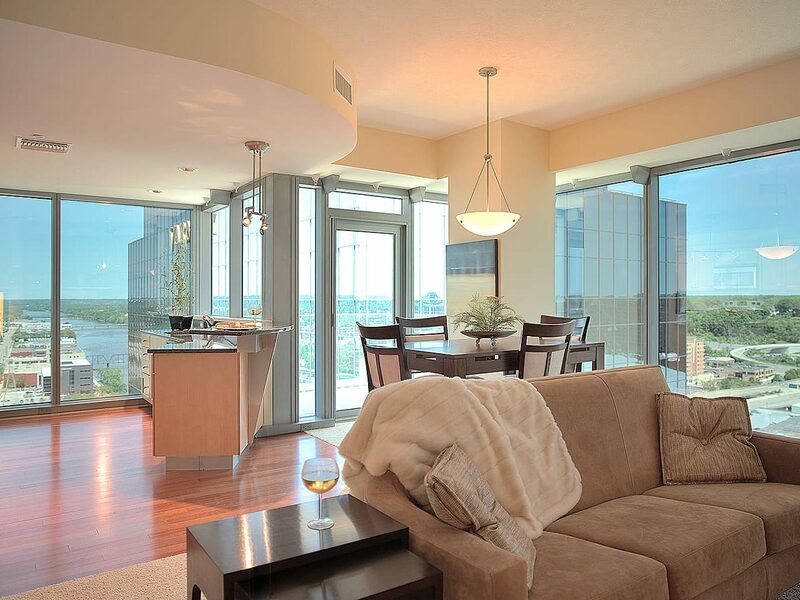 Nestled on the west bank of the Grand River in the heart of the city, the building houses unparalleled luxury condominiums. 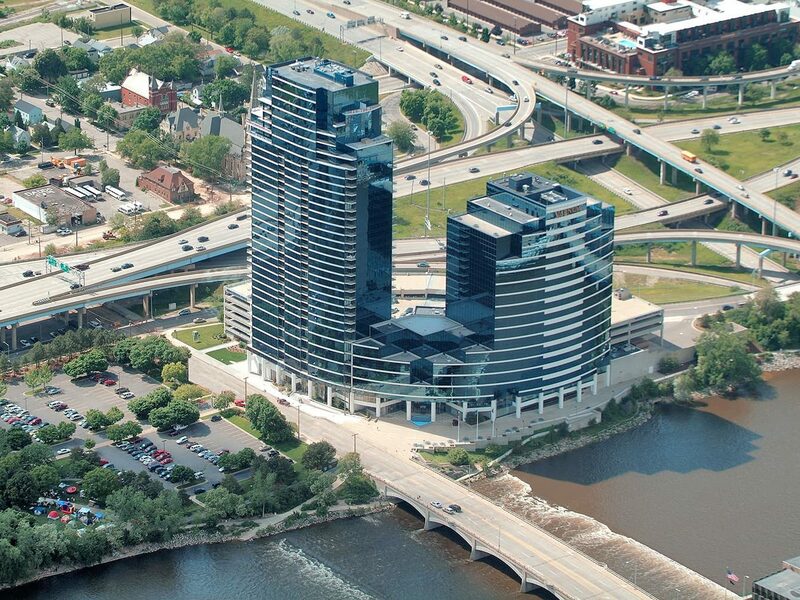 River House features 198 high-end condominiums, commercial retail space and secure on-site parking. Ten floorplans are available ranging from one-bedroom units totaling 941-square-feet to three-bedroom units totaling 1,900-square-feet. Amenities include floor-to-ceiling windows, private balconies, a 24-hour fitness center, indoor pool, hot tub, men’s and women’s sauna and steam rooms, and a club room for resident gatherings. 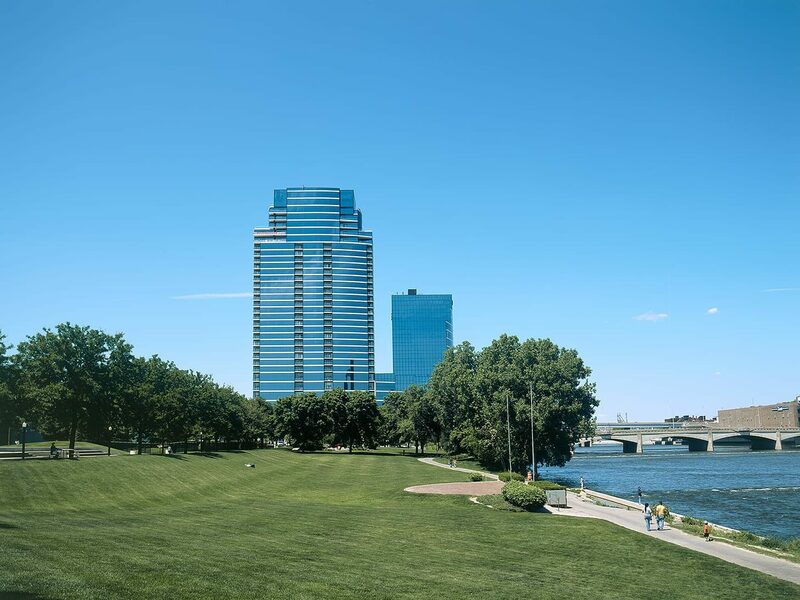 Standing at 412 feet high, the River House tower is the tallest building in downtown Grand Rapids. 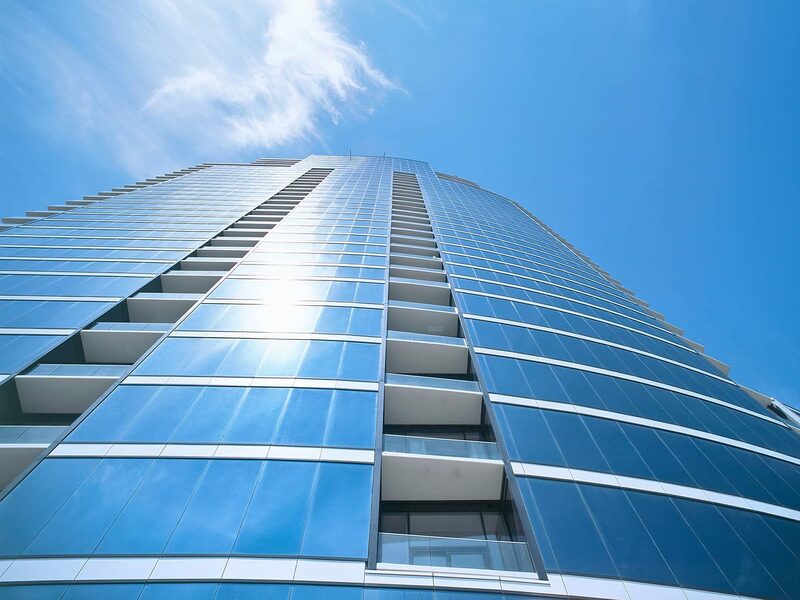 The striking blue glass high-rise is visible from miles around and was constructed with a total of 22,000 cubic yards of concrete and 1,000 tons of reinforced steel.